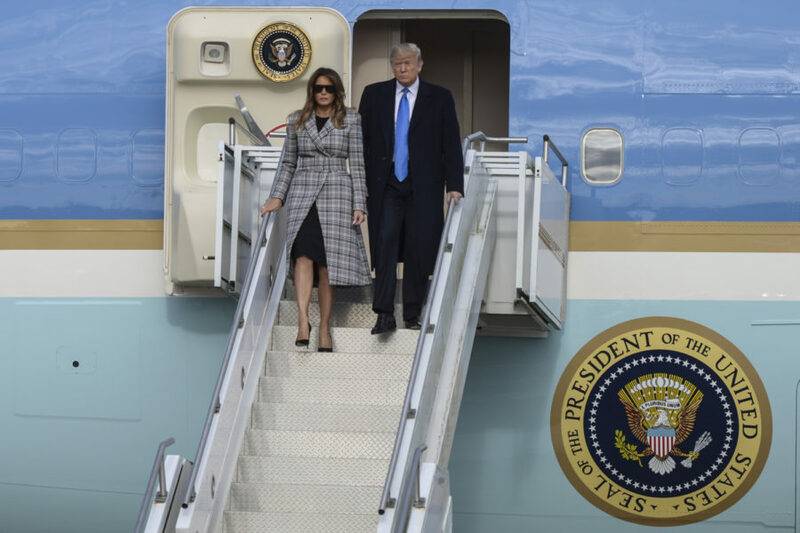 President Donald Trump and First Lady Melania Trump disembark from Air Force One in Coraopolis around 4 p.m. on Tuesday. Just days after the deadliest anti-Semitic attack in U.S. history at the Tree of Life Synagogue in Pittsburgh, President Trump announced something that undoubtedly delighted white nationalists — a promise to end birthright citizenship. The president fueled his election campaign with fear and hatred toward immigrants, but his most recent attack on them could affect the way we interpret the Constitution itself — an overreach of executive power that would hurt the lives of hundreds of thousands of children born to noncitizen parents. This, since Reconstruction, has meant that no matter the legal status of a person’s parents, they are a citizen of the country if born on U.S. soil. However, the president announced in his days on the campaign trail his intention to prevent children of parents who are not U.S. citizens from obtaining citizenship. After years in office, he’s decided that the best way to accomplish that is through an executive order. What is even more ridiculous is how misinformed the president is on the matter. The United States isn’t even close to the only country that provides birthright citizenship — more than 30 other countries have the same policy. And it’s this misinformation that will be used to potentially alter the constitution. He’s not completely wrong, but he’s also not right. Most constitutional experts agree that an executive order, despite the president’s claim, can’t change what is written in the Constitution. It would be a breach in the separation of powers on which our entire government is based — the executive branch cannot interpret what the legislative branch decrees, it can only enforce. But an executive order could force the Supreme Court to weigh in on the constitutionality of the order, and on the way we interpret the 14th Amendment. It would be a decision that could cause lasting damage to the status of children born to undocumented immigrants in the United States. The president seems to be using every tool in his arsenal to appeal to voters who fear a U.S. takeover by immigrants. This particular decision, however, could alter our interpretation of the Constitution as it pertains to the basic rights of a group of people who can’t control where they’re born.